Joy is a movie I have been anticipating for a while, mainly because of writer/director David O. Russell. I love The Fighter and Silver Linings Playbook, and rather liked American Hustle. He is a fantastic writer, and really knows how to write dialogue for characters. He has very well-rounded and three dimensional characters, and this is the most apparent element of his films. It also doesn't hurt that he has Academy Award level actors in the roles, specifically Jennifer Lawrence, Bradley Cooper and Robert De Niro, who all return for Joy. The film tells the story of Joy, played by Lawrence, who rises up in the business world and becomes a powerful matriarch in her family. I didn't really care for the first teaser trailer, so I had hopes that the second trailer would really blow me away. And now we have that second trailer. It was better than the teaser, but it still didn't really transform my thinking. Don't get me wrong: I really want to see this movie, but not based on the trailers. The trailers haven't convinced me, but Russell has on his own. I mean, it's still Jennifer Lawrence. I think this will end up being a fantastic movie, but the trailers just haven't sold me. Which is unfortunate, but it may be the result of a poor marketing campaign. I still have high hopes for this film, and I'm sure it will deliver. What do you think? 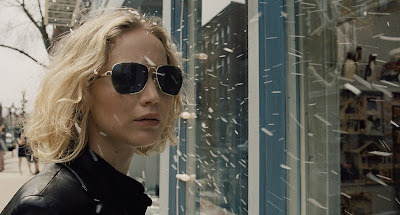 Did you like the trailer for Joy? Are you looking forward to the film? Leave your thoughts in the comments section below. How Does the Hulk Fit Into Thor: Ragnorak?